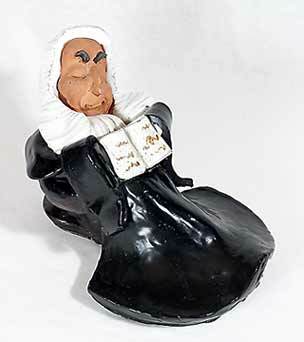 Chelsea snoozing judge - 9⅜" (238 mm) long, 5⅜" (136 mm) high. This judge is usually found in a smaller size than this one. It was made by Jo Hindmarsh.